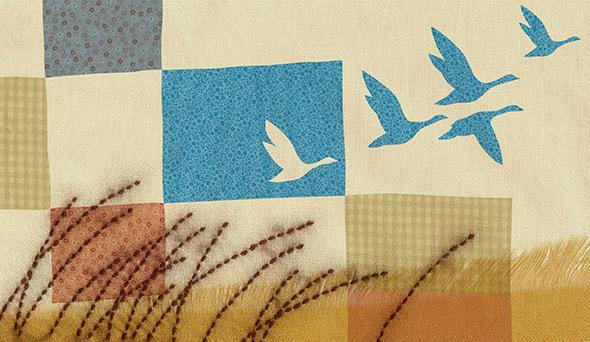 Little House nonfiction: Laura Ingalls Wilder’s memoir Pioneer Girl, reviewed. 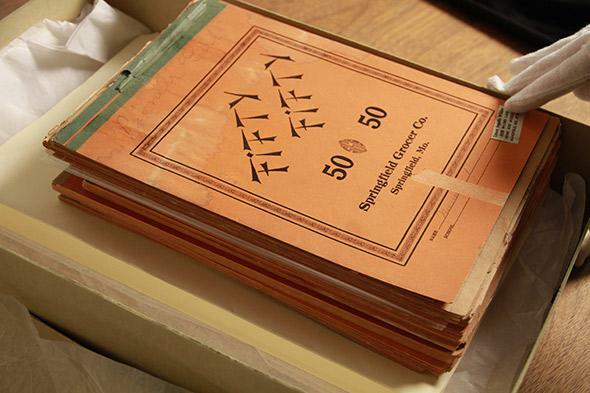 More than 80 years later, Laura Ingalls Wilder’s true story is published. But, in fact, in 1930, when she was 63, Wilder finished her first draft of Pioneer Girl, a first-person, nonfictional account of 16 years of her childhood. There’s no indication she thought of the book, written by hand on six large tablets, as a children’s book. Lane helped refine it and sent it to her agent, though he dismissed it: “A fine old lady was sitting in a rocking chair and telling a story chronologically.” Pioneer Girl never did find a home at a publisher, and eventually its stories were put in the third person, fictionalized, and sprinkled throughout Wilder’s Little House series. Now Pioneer Girl: The Annotated Autobiography offers Wilder’s complete first draft of her own story, enhanced by scrupulous and wide-ranging new research. Wilder’s heretofore unpublished memoir has been edited by Pamela Smith Hill, the author of a 2007 Wilder biography, who explores the overlap and the differences between various versions of the manuscript, the later novels, and Wilder’s own life. And I’m happy to say is a treasure. And even in cases where Wilder smooths things over, Hill’s generous annotations provide the juicy backstory: Aunt Docia’s divorce, a neighbor’s illegitimate pregnancy, and the tragic fate of Cap Garland, to name just a few. The real Clarence Brewster, whom fans will remember as a naughty schoolboy in Laura’s first classroom as a teacher, was later convicted of manslaughter. Hill dug through a remarkable variety of archived letters, old manuscripts, genealogies, books, and government records for these annotations, and it shows. Nearly every one is a gripping miniature drama all unto itself. Despite flashes of the risqué, however, Pioneer Girl is ultimately a very gentle story, and not a radical departure from the children’s books it inspired. Like the TV series Friday Night Lights and Marilynne Robinson’s Gilead books, Wilder pulls off the difficult trick of telling a rich, satisfying story about good people being good. The Pa of Pioneer Girl is still a selfless provider, Ma is a skilled homemaker, Mary a prim playmate, and Laura a good-hearted tomboy. Their stories may have been tidied up on the path between nonfiction and fiction, but their characters remain reassuringly intact. Wilder would later write that her novels were “not a history but a true story founded on historical fact.” If we can take Pioneer Girl as a history—and Hill’s research suggests it’s close—it’s clear that even as Wilder (with Lane’s help) later rearranged and embellished her story, she captured its real flavor. Most of all, Pioneer Girl is a welcome reminder of the power, even the genius, of the Little House books. Like many American girls, I grew up on the series. My little sister and I loved it so much that one summer my mom sewed us our own calico dresses and bonnets, and our family took a road trip through Walnut Grove, Minnesota; De Smet, South Dakota; and other sites from the books. We waded in Plum Creek and lounged beneath Pa’s cottonwood trees near Silver Lake in our long dresses, and play-acted “Laura and Mary” just like we did at home. In other words, a good portion of my childhood was spent LARPing the Little House series. So sure, my own happy memories are hopelessly entangled with Wilder’s. But the Little House books are undeniably enchanting. They include indelible details—a panther leaping on a horse, a blizzard of grasshoppers, making “hay twists” when the wood runs out, Pa wrapping his hands around Ma’s whole waist—embedded in a thrilling grand narrative about a family sticking together through poverty and other hardships. * Wilder’s descriptions of the American prairie are lovely, too: a “buffalo wallow” covered in violets, and skies full of wild geese. The Little House books also grapple in their quiet way with deeper questions. Those themes are clear in Pioneer Girl, too. When a doctor’s wife offers to adopt Laura as a housekeeper and playmate for her own daughter, Ma demurs. But Wilder reflects later, “It seemed to be possible that I could go on being me—Laura Ingalls—even without Pa and Ma and Mary and Carrie and Grace.” What a beautiful expression of a child’s first awareness that she is a separate and particular human being, alone on the Earth. 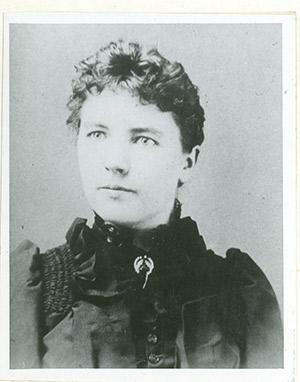 Laura Ingalls Wilder at 27. Pioneer Girl also destroys the old canard that Wilder merely transcribed her memories, and that it was Lane, a well-known journalist and fiction writer, who gave them shape and voice. Pioneer Girl makes clear that Wilder, who launched her career as a poultry columnist for the St. Louis Star Farmer, could really write. That said, Lane obviously wielded an influence in the shaping and selling of both Pioneer Girl and the series it inspired. Lane was a nationally known writer and editor whose fame at the time far outpaced her mother’s. (Hill’s introduction includes fascinating material on Lane’s bad habit of blurring journalism and fiction; Henry Ford and Charlie Chaplin were among the subjects of her “true stories” who wound up enraged by the liberties she took.) In the annotations, it’s interesting to see mother and daughter haggle over editing, decide how the story should depict Mary’s blindness, and maneuver to place Laura in the middle of scenes that Wilder had only heard about. Ultimately, the decision to transform Pioneer Girl from a novel for adults into a children’s series, though forced upon Wilder by editors’ indifference, was a wise one. The children’s books offer a more coherent voice and an effectively streamlined narrative, and they are intended for the audience best positioned to cherish them. If you haven’t read the Little House books, in other words, Pioneer Girl is not the place the start. (Ideally, the place to start is at around 5 years old, snuggled up against your own Ma or Pa.) But for those who already adore the novels they inspired, this annotated edition of Pioneer Girl will deepen and enrich a great American story. Pioneer Girl: The Annotated Autobiography by Laura Ingalls Wilder. Pamela Smith Hill, editor. South Dakota Historical Society Press.